Conor (condor) put me onto Monopoly City Streets, which is very cool idea, albeit the server is running slow as a wet rag. All was going well until Conor bulldozed one of my building. Woot!, lucky number combo time. It doesn’t even matter if mix your day/month up like the US or not. 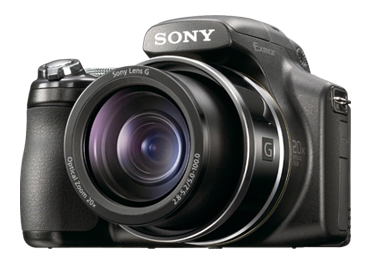 We bought a new camera on Tuesday, the Sony DSC-HX1. We have been wanting a camera with more zoom for a while now. There have been too many school events where we can see the kids fine, but due to lack of zoom, our camera has failed to capture the scene, or the shot has been ruined by the super contrast of the stage lights making bright spots. I miss the idea of not having a raw mode, and the ultra swivel LCD on the Cannon would be useful in more situations, but really, the batteries was a major issue. Part of me was wanting to step-up to the bigger boys 450/1000 Cannons, but price was a consideration. If I use this camera enough and find myself limited by it, then a full DSLR may have to be the next step. For now I’ll continue playing with it a lot, trying out different situations, and learning how to use it. Having not researched the topic at all before buying, I was pleasantly pleased with the DSC-HX1 review at dpreview.com, with there not being any worst-camera-in-the-world type surprises. We recently upgraded our subversion server at work because it was having performance problems, yet the new server also performed poorly, so our dev-svn-admin guy did a dump reload of all the repositories, to gain the benefits of the new Subversion file layouts. The first team just re-checked-out all the working copies the manually merged their local changes.